Lloyds TSB the bailed out mega-bank that was brought to the brink of bankruptcy as a consequence of the shot gun wedding with HBOS, has announced that it will be closing down all of the 160 branches of the 100 year old Cheltenham and Gloucester by November of this year resulting in some 1,500 job losses. The latest announcement brings the total job losses across the banking group to approximately 10,000, with my estimate of February 2009 suggesting that losses could extend to as many as 30,000. 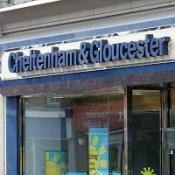 Cheltenham and Gloucester is part of the HBOS portfolio of mortgage banks that Lloyds TSB took over and has been weeding through with a view to a huge cost savings exercise in light of the £3 billion in losses declared earlier this year as well as aimed at repaying much of the the governments stake as soon as possible in light of the toxic assets insurance scheme which means that most of the banks bad debts running to an estimated £400 billion are being offloaded onto the tax payers backs which will increasingly leave the bank with a strong balance sheet in a far less competitive market, and hence implies improve profitability. The growing lack of market competition in the mortgage market is reflected in the widening spread between mortgage interest rates and the LIBOR rate (rate at which banks borrow / lend from one another). The typical fixed rate and tracker rate mortgage spread to the LIBOR rate has widened from 0.25% in October 2008 to 2.25% today which is contrary to the Governments objective of getting the banks to lend again by means of capital injections and huge tax payers liabilities that are now approaching £2 trillion. The Lloyds group itself comprises more than 40% of the UK banking market with 30 million customers. The loss of market competition is not just in the short-term but will impact the UK banking sector for many years where customers can expect to pay much more for loans whilst at the same time receive far less in savings interest payments, therefore despite the ongoing bounce in UK house prices as a consequence of the Labour governments debt fuelled economic bounce, a return to the housing boom is still many years away. Santandar the other mega-banking group that has gobbled up high street names such as Alliance and Leicester and Bradford & Bingley through with the aid of tax payer funds announced barely 2 weeks ago that it would be re-branding these banks and the Abbey off the British high streets during the next 12 months.